The fantastically talented Nili Brosh joins JTC with a debut package filled to the brim with creative lines. Learn them all to bring some fresh colour and new inspiration to your own solos! 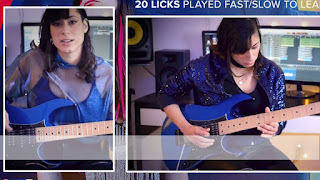 In these licks Nili will be using lots of technical, melodic and harmonic ideas to add that extra colour to the pentatonic scale. So there’s plenty that you can take and utilise in your own licks. Some of these include wide intervals, tapping, bends, legato, melodic patterns, outside notes, tension and resolution, the dorian mode, harmonic/melodic/natural minor scales, the blues scale, arpeggios. There’s plenty to learn and you’ll find heap of other creative devices that you can study using the included TAB/Notation alongside the theory notes and fast/slow versions of the videos and audio. 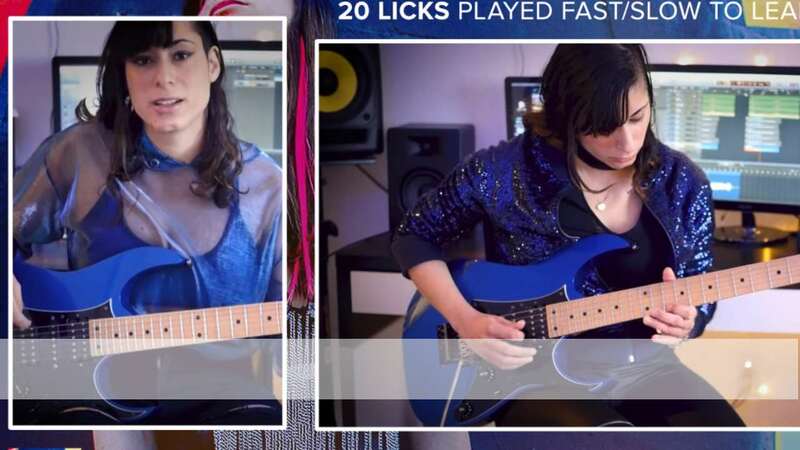 So if you’ve grown tired of your old ‘go to’ pentatonic licks, or are just looking for a way to freshen up your solos with a new perspective, then Nili is on hand to divulge her own approaches for keeping those everyday lines of yours exciting, modern and inspirational! Check out the promo video in the 'Overview' tab, then click the ‘Buy’ button (for instant download) or hit +MyLibrary to start learning today and raise your game with JTC!